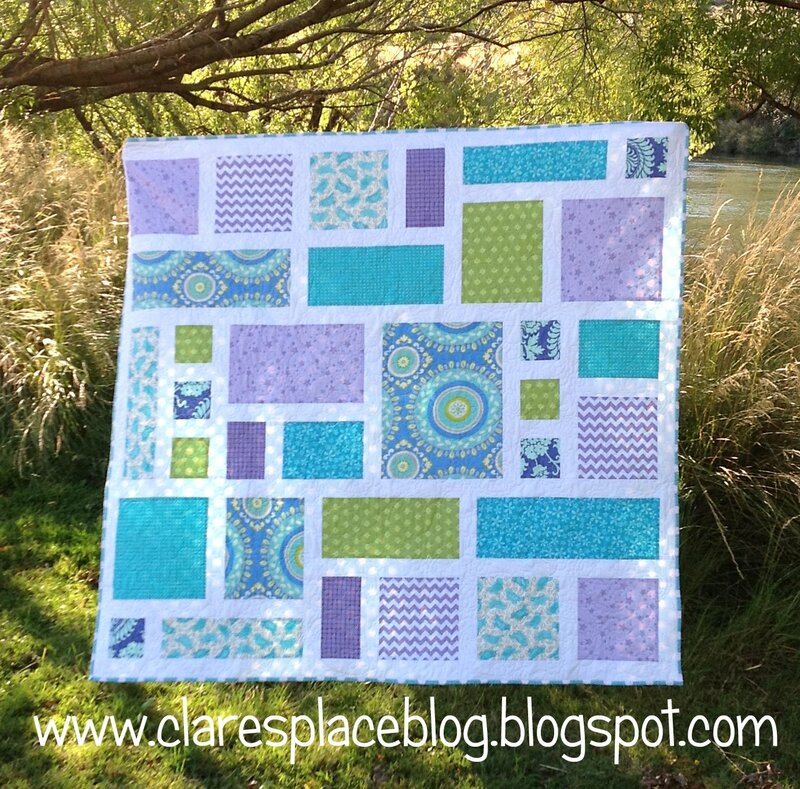 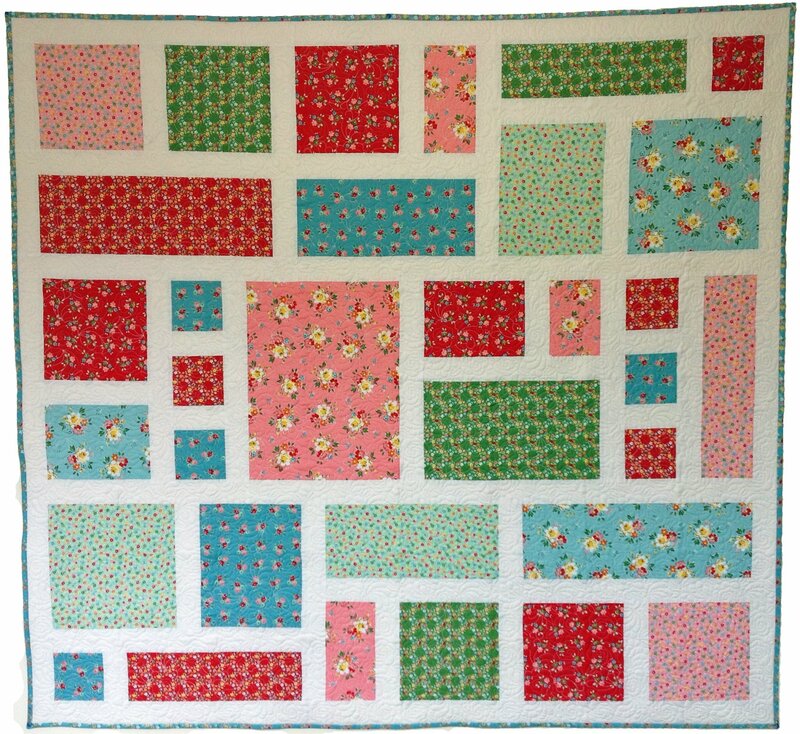 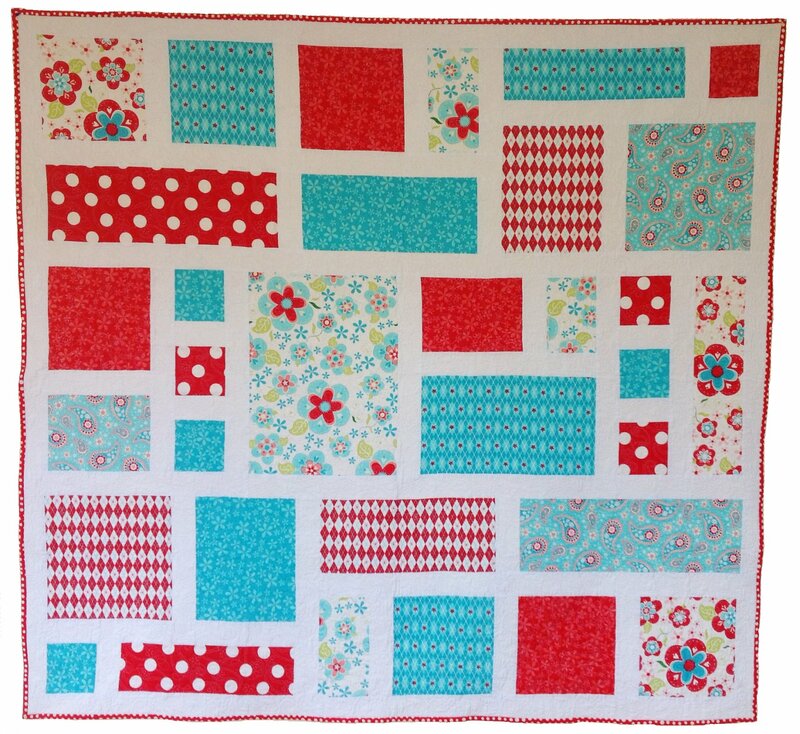 Inspired by the birds around our home, this quilt will add a special touch to your little one’s nursery. 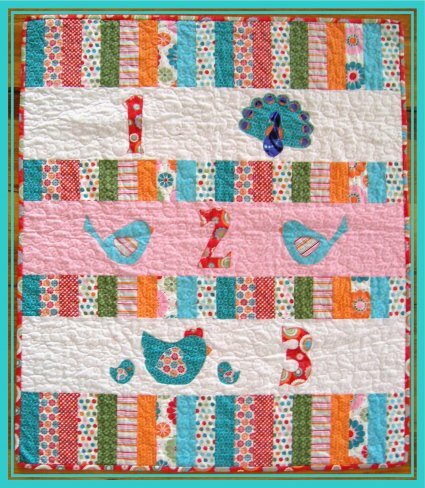 This cot size quilt features stylish appliqued numbers and delightful birds including the elegant peacock. 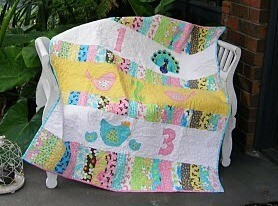 Below- Birdie by Me and my Sister for Moda Fabrics.